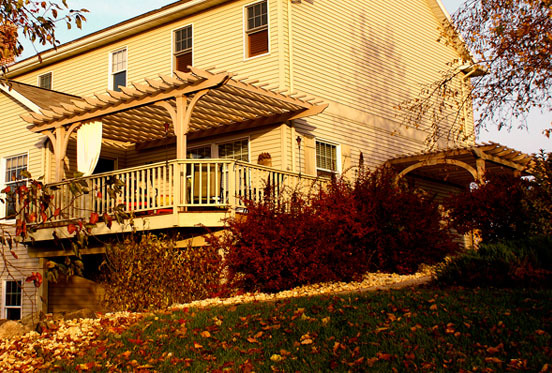 Three different pergolas were established for this home, all attached to the house. 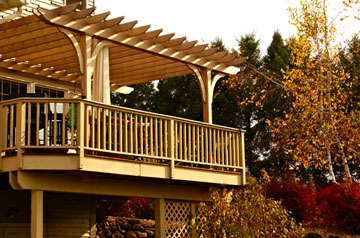 Although each structure was different: one creating a covering for a pathway, another an overhead for a raised deck and one a patio pergola, the details such as rafter tail profiles, etc. were kept the same. 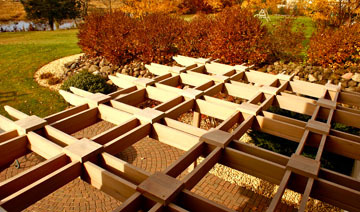 The patio pergola has an interesting coffered ceiling construction with caps at each full lap joint.